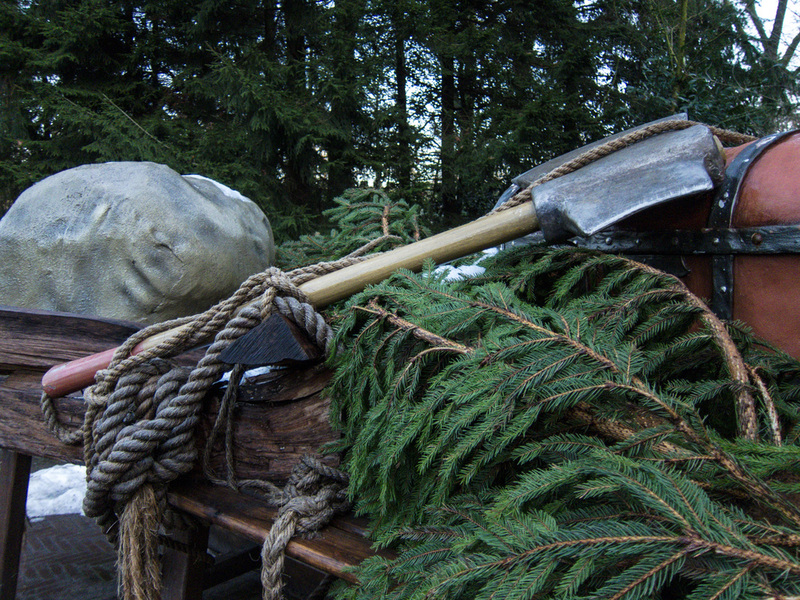 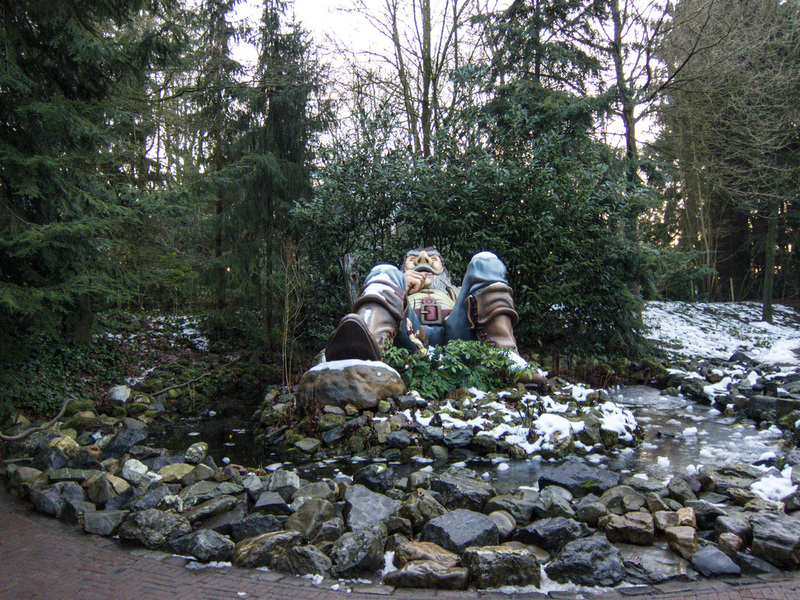 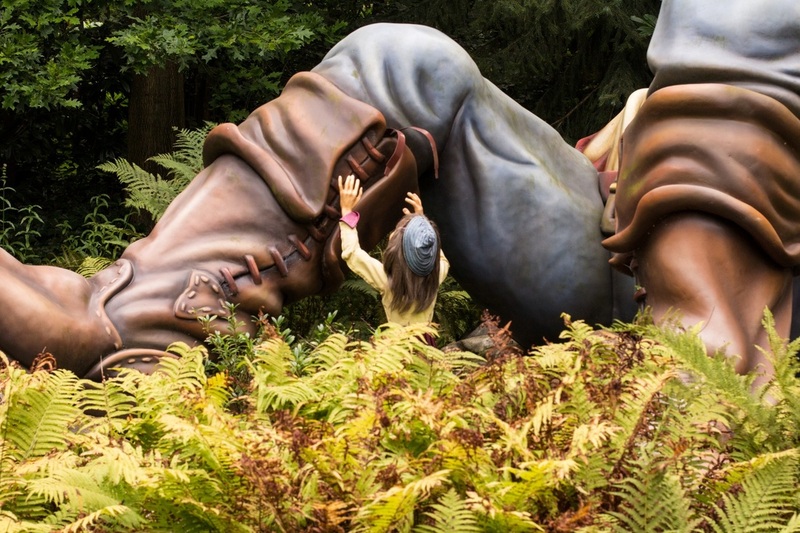 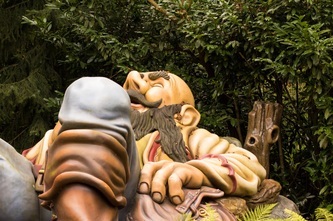 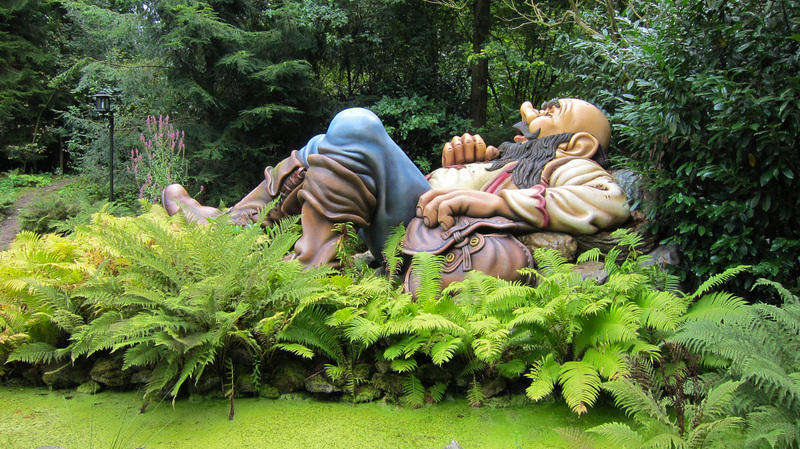 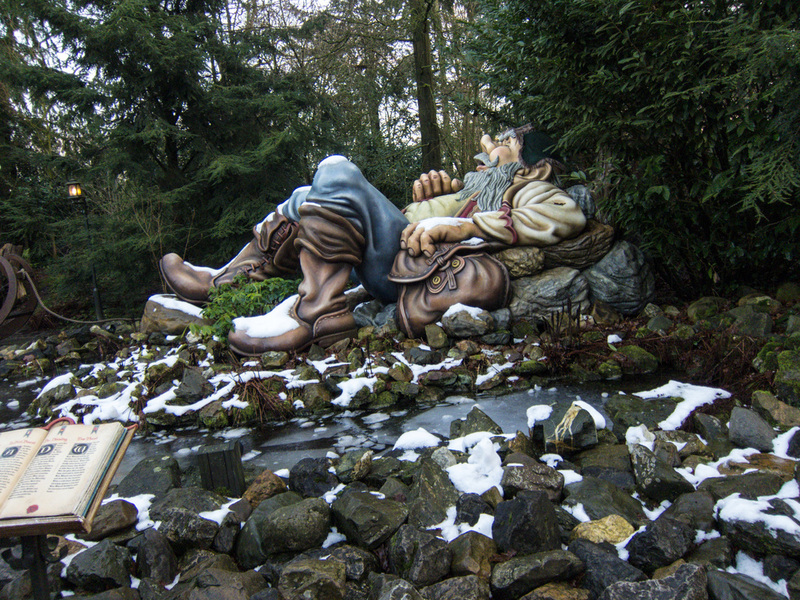 The giant fell asleep in the Fairytale Forest in 1997. 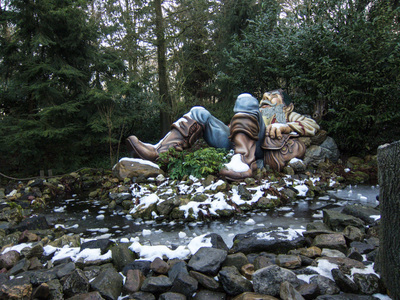 He is still there today, asleep with his Seven League Boots on. 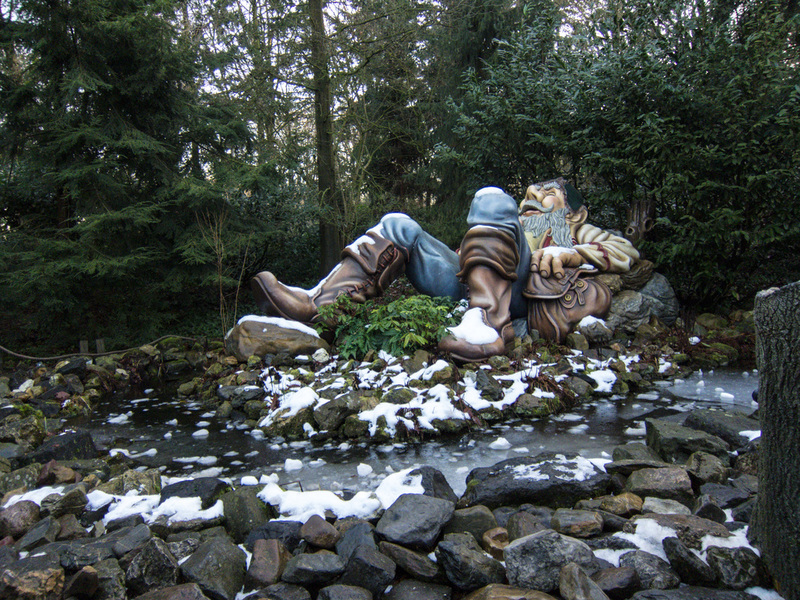 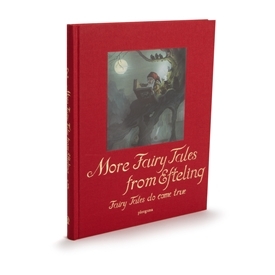 Once upon a time, there was a woodcutter who lived in the woods with his wife and seven sons. The youngest of his seven sons was very, very small. They called him Tom Thumb because he was no bigger than one. 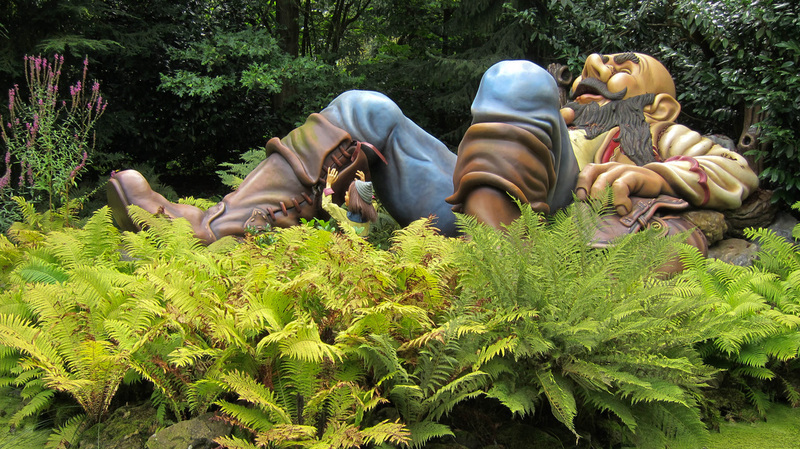 Tom Thumb’s family was very poor and one day, the woodcutter and his wife got so very desperate, that they decided to abandon the children in the woods. 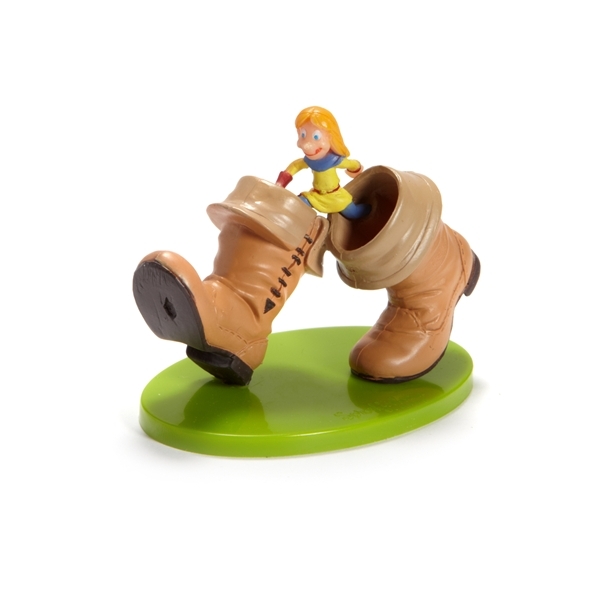 However, Tom Thumb was a clever little boy and had scattered pebbles along the way, to help them find their way home. 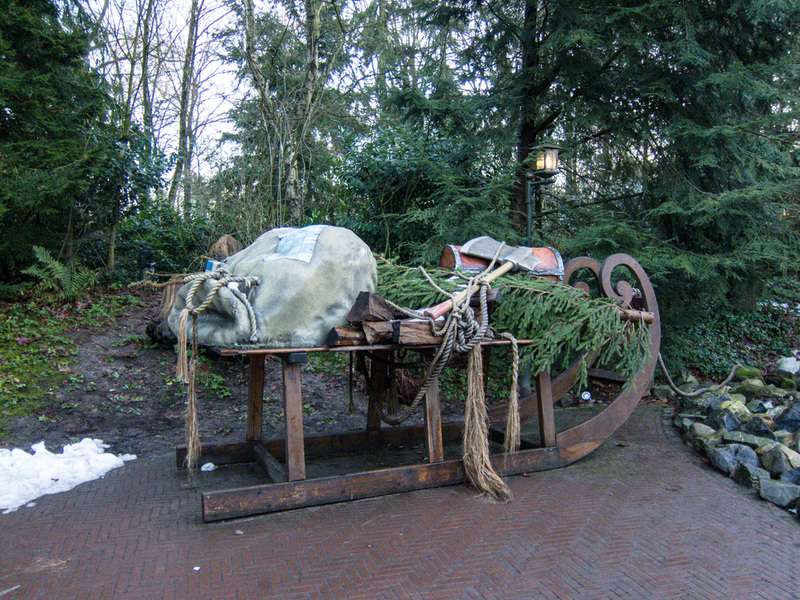 A couple of weeks later the woodcutter and his wife tried again. This time they made sure Tom Thumb had left the pebbles behind. 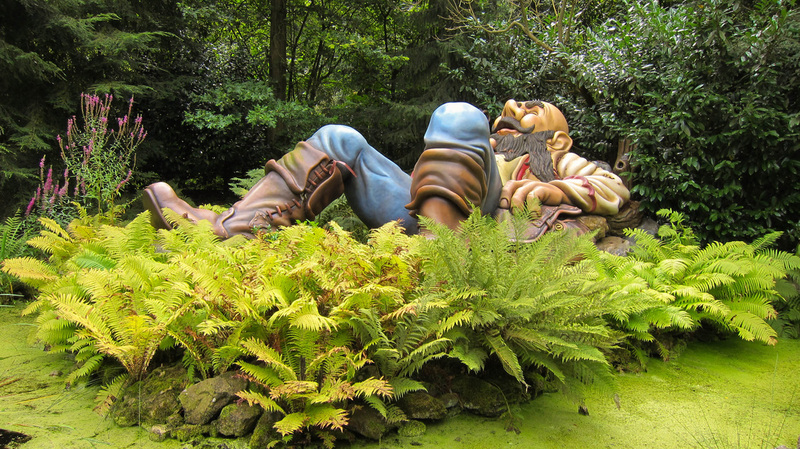 So instead of the pebbles, Tom Thumb used bread to scatter crumbs on their way into the woods. But when it came to leading his brother out of the forest, the birds had eaten his breadcrumbs. 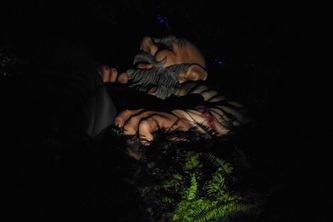 Tom Thumb climbed up a tree in a hurry. 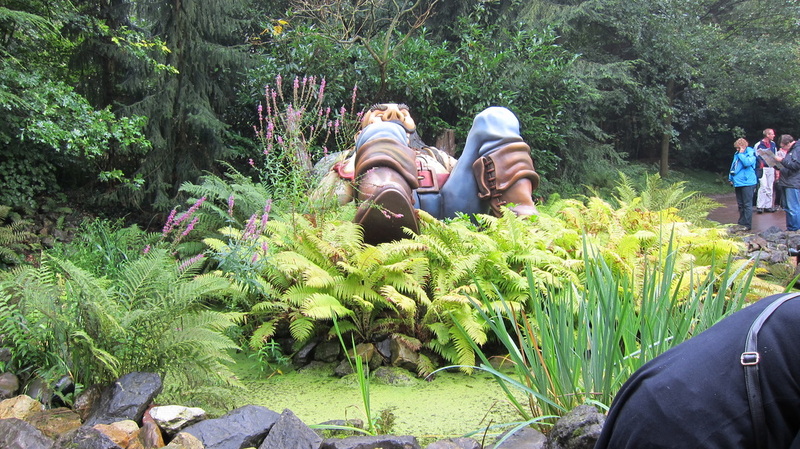 ”I can see a house over there! Surely someone must live there,” Tom Thumb cried. But they did not know that this was a house of a Giant, not a human.